After a triumphant first outing at the Independent a couple of months ago – featuring Cohesion, Shades, Kobadelta and Charlie Dancer – Spark’s Local Music Show are returning to the Wearside venue this weekend to bring us another quadruple threat of amazing local acts. Headlining the event this time around are Newcastle indie rock band Dalaro, who are coming off the back of another successful gig, headlining the O2 Academy on Tyneside. Expect soaring choruses, a dash of stadium rock and a lot of epic riffs. The’re joined by singer-songwriter and friend of Spark Joe Ramsey, as well as the 80s influenced, Tyneside indie four-piece Avenues. Rounding off the bill are Durham rockers Hazels, whose high-energy performances have recently landed them supporting slots with Demob Happy and Blossoms. The best part? The event is absolutely free, meaning there’s no excuse not to support your local scene. 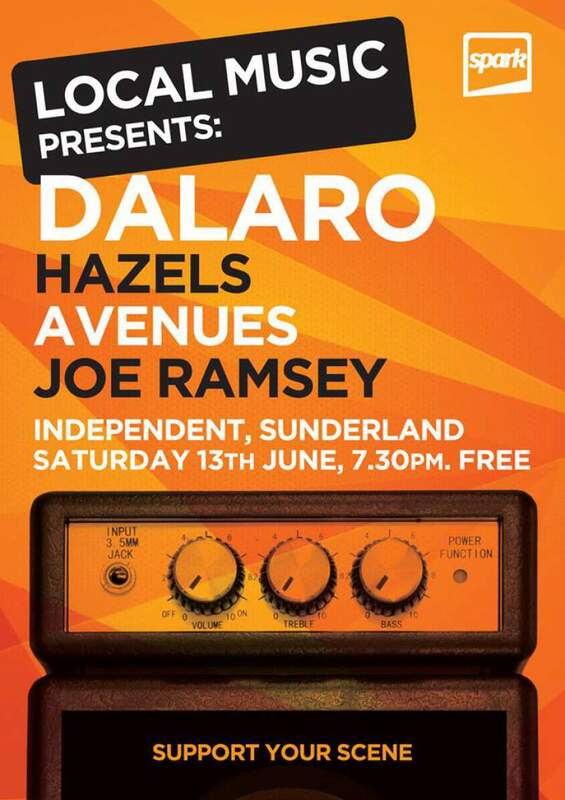 Spark Local Music Night 2 comes to Independent, Sunderland on Saturday 13th June.